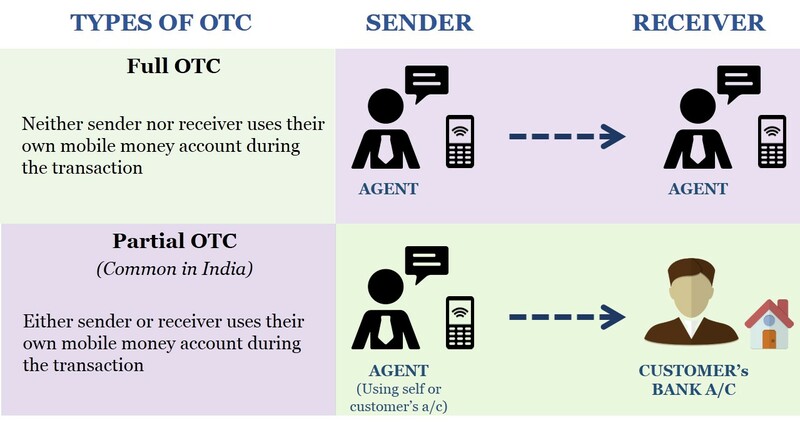 The blog defines the over the counter (OTC) money transfer in India. The authors elaborately describe the experience of customers using OTC remittance services in India. Globally, mobile money services are being offered primarily over the counter (OTC). This underlines the demand for readily available, quick and convenient fund transfer services. 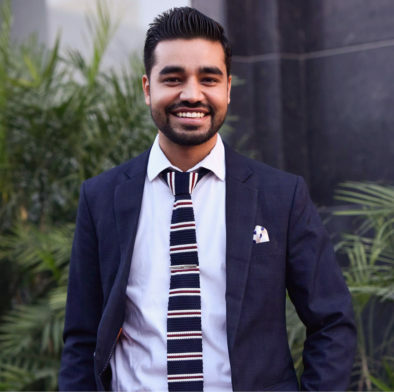 For instance, 90% of WING’s transactions in Cambodia, 70% of EasyPaisa’s transactions in Pakistan, and 50% of bKash’s transactions in Bangladesh are OTC based. Due to market dynamics, customer pull and trust deficiencies, OTC transactions have been preferred, as highlighted in MicroSave’s blog, Beware the OTP Trap. Some other publications have, in detail, explored the prevalence, causes, and implications of OTC transactions in other countries, such as Pakistan, Bangladesh, Kenya and Uganda. Even though OTC is a well-established concept, there are varying views on what actually constitutes an OTC transaction. Moreover, OTC in India differs in some respects from OTC services in other countries. So, let’s start by outlining OTC in India. What is OTC in India? a. The customer is not required to have a mobile wallet or a Mobile Station International Subscriber Directory Number (MSISDN; in simple terms, owning a mobile phone number) to use the service. b. The customer may not have any knowledge about a wallet being opened on their behalf (this case has been observed commonly). c. The agent is the “only” actor who conducts the transaction, i.e., there is no self-use of a wallet by the customer (similar to other countries). Given the current regulations in India, which allow cash-out through full KYC bank accounts only, even transactions that are made OTC at the origination stage, fall under the ambit of formal financial services at the destination. While sending the funds, however, two distinct scenarios are possible. First, the agent may use his personal account (or that of an acquaintance) to send money, without informing the customer about the process. The entire transaction process is carried out by the agent, with the sender only providing the beneficiary’s account number. Second, the agent may open a wallet for the customer (even without their knowledge or understanding), and then use that wallet to transfer the funds. The sender thus receives confirmatory text messages when the transaction is initiated and when it is completed. He associates these messages as part of the provider’s service offering, unaware that these are associated with the wallet opened in his name. 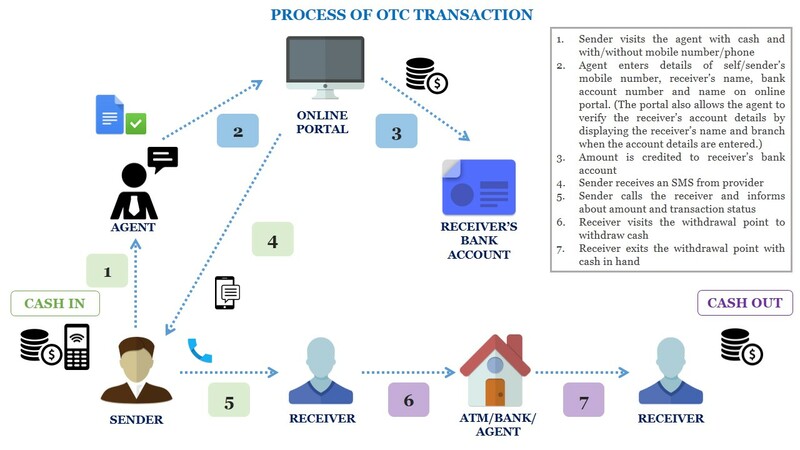 Thus, in an Indian context, any transaction where the agent’s account (or agent’s associate account) is used to send money without informing the customer, may be classified as informal OTC. However, when a customer’s account is used to send money (even without his explicit knowledge or understanding), the transaction can be termed as a formal OTC transfer. MicroSave conducted research to understand the experience of customers using OTC remittance services in India. By carrying out mystery shopping exercises, we are able to define a common process that is followed when a typical OTC remittance transaction takes place. This process has been illustrated in the figure below. The sender/remitter walks into the agent outlet with cash in hand with the purpose of remitting the money. Generally, the agent notes down the mobile number of the sender (in some cases, the agent uses his own mobile number, but because of caps put on the number of daily transactions from any one account, this is a rare occurrence). The sender’s mobile number is then used to open a wallet on the provider’s portal (an internet website used by agents to open wallets, and transact after signing in with their credentials). However, this is often done without the consent and knowledge of the customer. Consequently, the senders, who visit (different) agents associated with different providers, have multiple wallets opened using the same mobile number. This process of customer acquisition on behalf of payment service providers is leading to an overstatement of the number of unique users who are actually using DFS for remittances. The sender, unaware that a wallet is opened, believes that the mobile number will be used to receive a confirmatory text message via Short Messaging Service (SMS) from the provider. The agent informs the sender that this text message will apprise him/her of the status of the transaction. We observed that a very few agents, working for different providers, conducted transactions without the customer’s mobile number. In such cases, the agent used a mobile number belonging to someone else (or, in rare cases, their own), which is already registered. This number was never shared with the customer. 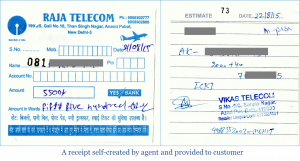 In lieu of the confirmatory text message, the sender is provided with a printed or written receipt, with details of the transaction. However, these cases are very rare, as most customers using these channels own mobile phones or provide phone numbers belonging to their families or friends. Bank account number of recipient. There are several other fields that should be filled up (but are not mandatory) by the agent such as IFSC code, bank location, and relation between the receiver and sender, among others. However, in order to save time and for fear of losing customers, who may not have/remember such information, some agents randomly fill these details. As most transactions are initiated using Immediate Payment Service (IMPS) system (for reasons highlighted below), these incorrect details do not affect the success of transactions. All Indian providers’ portals can use both IMPS and National Electronic Fund Transfer (NEFT) to conduct money transfer services. On some portals, agents can view the downtime status of IMPS. When IMPS is down, these agents use the NEFT service to remit funds. However, IMPS is the preferred system, as the transactions occur on a near real-time basis. However, most agents believe that regional rural banks (RRBs) do not support IMPS and, hence, they prefer to use NEFT when transferring to RRB accounts. Once money has been transferred via the portal, a text message is received on the phone number provided by the sender. Some providers’ systems also send the agent a text message confirming the transaction. This communication generally happens on a near real-time basis. The sender uses this text message to inform the receiver about the transaction status. 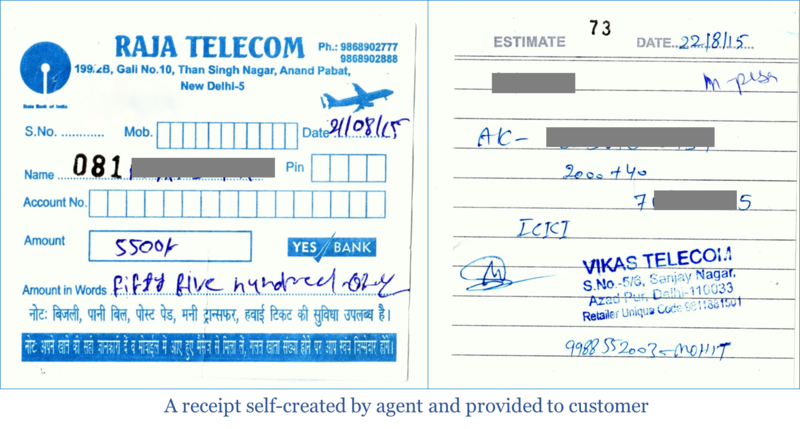 When a customer does not have a mobile number, he/she receives/asks for a printed or hand-written receipt from the agent as a proof of the transaction. Next, the sender communicates with the receiver to know the status of the transaction. The receiver then visits either the bank/agent branch or an automated teller machine (ATM), and confirms the transaction status to the receiver. In instances where the receiver does not receive the funds, the sender (at times, using the receipt) follows up with the agent. Most agents provide a receipt to their customers when asked. The agents print these receipts themselves. These receipts typically do not mention the provider’s name. The receipt helps customers in two ways. First, it acts as a proof of the transaction for the customer. Second, in case the receiver notifies the sender of non-receipt of funds (if the transaction has failed or been delayed), the customer brings this receipt to the agent, who can then check the status of the transaction. S/he can use a debit card to withdraw the funds from an ATM. Of these different methods, ATM cards are increasingly preferred at the destination points of remittances. The major reason for this shift is the PMJDY scheme, which provides RuPay debit card to all account holders. Even though there have been a slew of technological innovations to allow migrants to remit funds themselves, without reliance on a third party (such as an agent), their uptake has been very, very slow. OTC providers offer a fast, secure, and reliable service at a nominal cost to the customer. These three attributes are the most important needs of a typical migrant who wishes to remit funds home without the worry associated with a financial transaction. 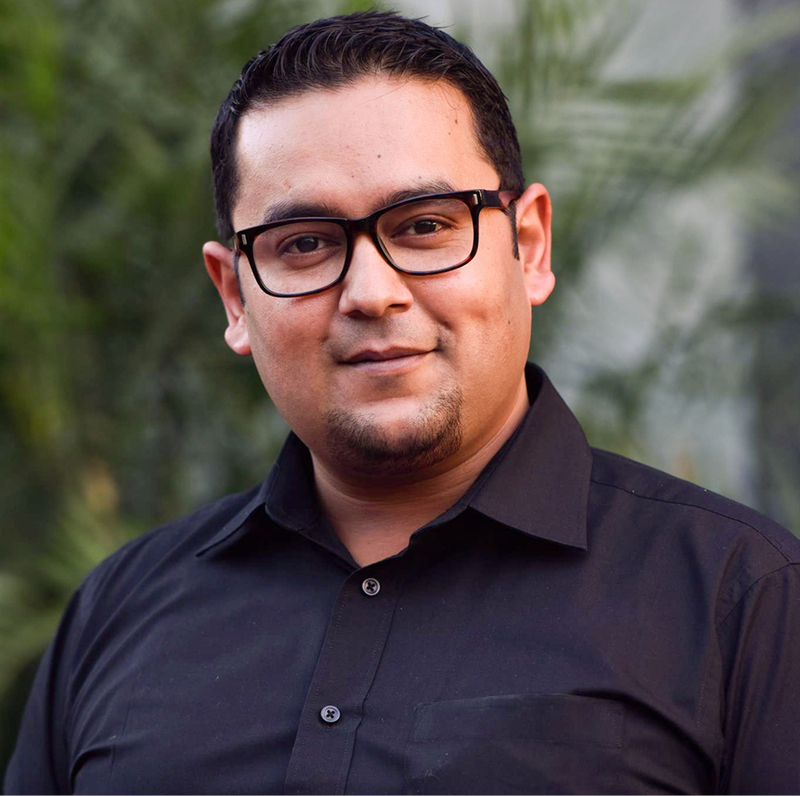 Now that we have an understanding of how OTC works in India, in our next blog, we will present the findings from our mystery shopping and the experience of customers, by presenting an experience map for a typical OTC transaction.